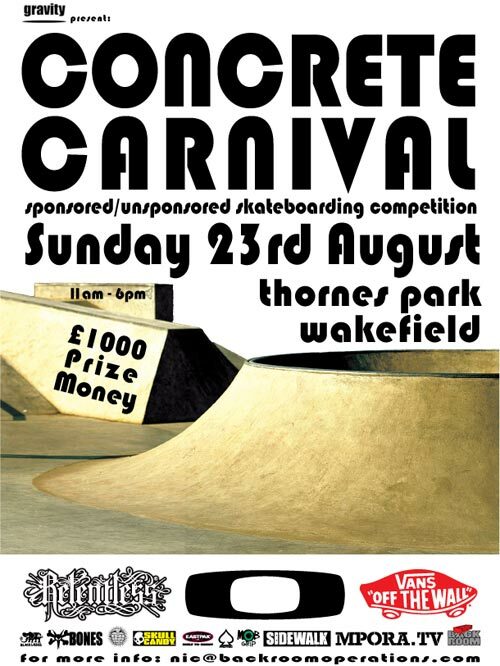 Skate competition at Wakefield’s Thornes Park skatepark. 11am – 6pm, sponsored and unsponsored categories. £1000 prize money. Sponsored by Relentless, Oakley, Vans and a heap more. If you fancy a road trip then get yourself down there!